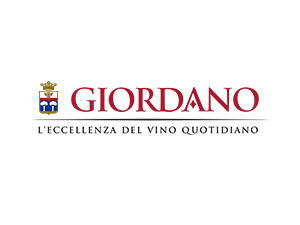 Refer official Giordano Wines Website to view full Terms & Conditions. The online store provides a variety of wines to choose from. For example, you can explore red wine, white wine, rose wine. You can also explore wine from the region like Apuliae, Lombardia, Piedmont, Veneto, Sicily, Abruzzo, Umbria, etc. They also ships some special types of wine like table wines, sparkling and aged. Apart from wine, you can order for pantry products like starters, first course, sauces, cured pork meats, truffle, olive oil & vinegar, etc. The online store has been producing wine since 1900. It is based in north Italy, which is also the part of UNESCO world heritage site. In the year 1950, the store started selling wine directly to the clients. And that is when the success story of the store began. You can explore various discount options here. You can get special offers for hampers category. For example, you get 15 bottles of mixed wine case just in £69.90 that costs £4.66 per bottle. More than that, you can redeem discount codes and promos from the code provider and get a huge discount on your purchase. If you are not satisfied with the products, you can send the products back to the store within 7 working days. You will get the refund in 30 days. For more details, you can refer the return policy. Are you looking for a luxury wine? Then, find out the world class wine from the Giordano Wines. The store provides Italian wine, named as Giordano. You will get super quality, no matter what you order. More than that, the wine will be delivered to your doorstep directly from the manufacturer so that you can get the products at reasonable price. Even if you are planning to present wine to someone as a gift, the store will deliver the products to the receiver, directly. You can pay via Credit Card or Debit Card for the products.